IDFC Bank has recently launched its branch in Raja Annamalaipuram. A note from the bank says customers in the neighbourhood can now experience the bank’s full suite of retail solutions, including the opening of a savings account quickly, using Aadhaar-based biometric authentication. Among other facilities the bank offers are free unlimited ATM transactions, no fees or penalties on savings accounts if balance falls below the minimum limit and simplified and a ‘fully loaded’ mobile banking app, even for customers who have loans but no savings accounts with the bank, attractive fixed deposits rates. IDFC Bank’s branch in R. A. Puram is located at ‘Premise’, No. 57, First Main Road, pposite Billroth Hospital. 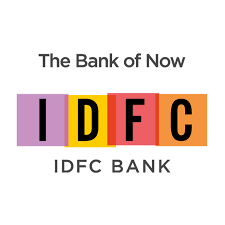 IDFC Bank is a subsidiary of IDFC Ltd. Headquartered in Mumbai, IDFC Bank is a universal bank, offering financial solutions through its nationwide branches, internet and mobile. This entry was posted on Monday, August 6th, 2018 and is filed under Lifestyle, Stores, News. You can follow any responses to this entry through the RSS 2.0 feed. You can skip to the end and leave a response. Pinging is currently not allowed.